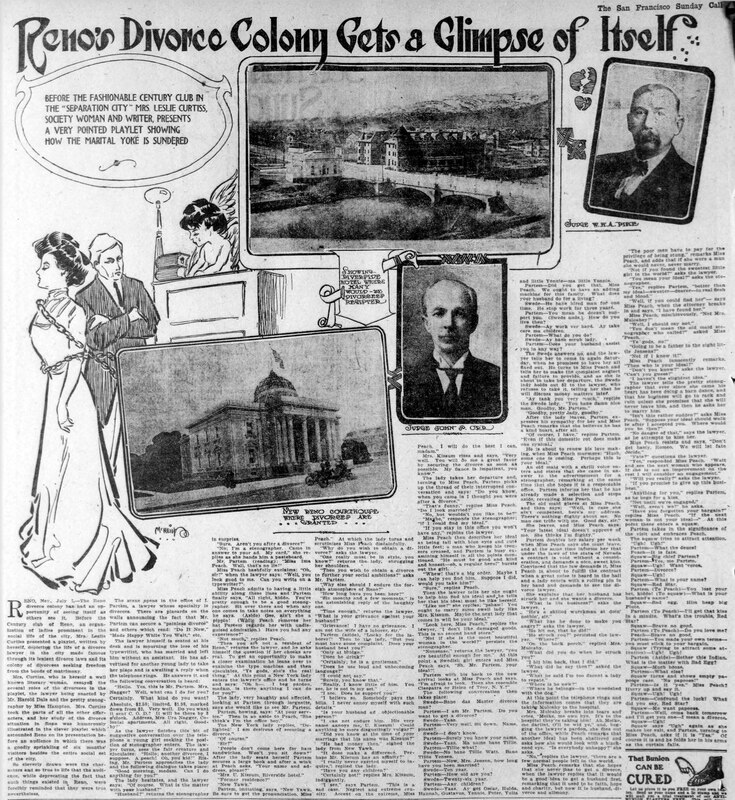 An article in the San Francisco Call featuring a short play written by Mrs. Leslie Curtis, in which she and two others - Mr. Harold Dale and Ms. Hampton - reenact a Reno divorce. Includes references to Judges John S. Orr and W.H.A. Pike.